IO Intervactive and Warner Bros. have unveiled Hitman 2, the follow-up to the previous acclaimed stealth game. Among the new features is the standalone Sniper Assassin mode bringing co-operation for the first time in the series. It will be available starting November 13. Details, trailer and screens inside. Burbank, Calif. – June 7, 2018 – Warner Bros. Interactive Entertainment and independent game developer, IO Interactive, today announced HITMAN™ 2, the follow-up to the acclaimed international video game, HITMAN™. 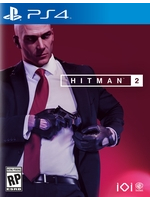 Featuring entirely new hyper-detailed sandboxes full of living, breathing environments to explore, HITMAN 2 offers players the freedom to plan the ultimate assassination utilizing an assortment of tools, weapons, disguises and a variety of stealth techniques to creatively trigger their own unique chain of events. HITMAN 2 will be available for PlayStation®4 computer entertainment system, PlayStation®4 Pro computer entertainment system, the Xbox One family of devices including the Xbox One X and PC beginning November 13, 2018. Sniper Assassin is available to play now as an early access bonus for consumers who pre-order the HITMAN 2 Standard, Silver, Gold or Collector’s Edition. 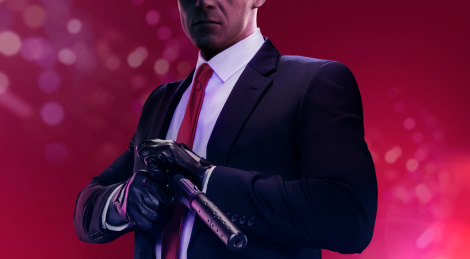 To learn more about HITMAN 2, please visit www.hitman.com or join the conversation on Twitter (@Hitman), Facebook (@Hitman.US), Instagram (@Hitman_Official), YouTube (Hitman) and Twitch (Hitman). Sold. Last season was the best the series has ever been (yes, even blood money) . And now it's broken from the shackles of episodic, so it'll be even better. How did they "shaft" players? I'd argue locking content behind an arbitrary online connection In a single player only game was kind of the definition of shafting players. oh yea, I forgot about that stuff.